You may recall from our MTG Realm Tumblr post (linky over here) of the news that came out of PAX Seattle - the announcement of a hardcover book 'The Art of Magic: the Gathering: Zendikar' (Amazon linky here), which in fact will be hitting book shelves on or about 5th January 2016. 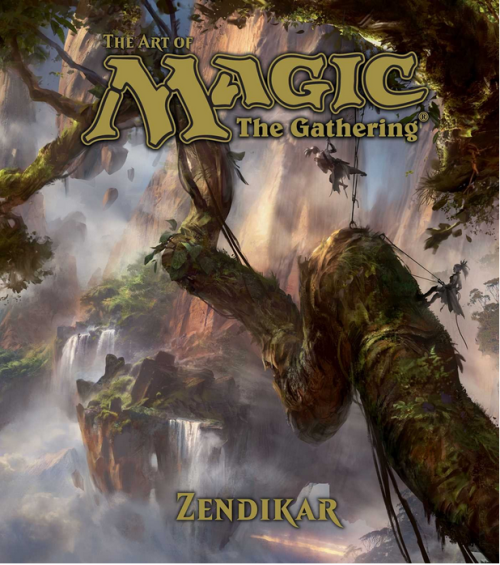 VIZ Media and Wizards of the Coast have jointly announced the expansion of the Magic: The Gathering® publishing catalog with the addition of a second art book to the collection. 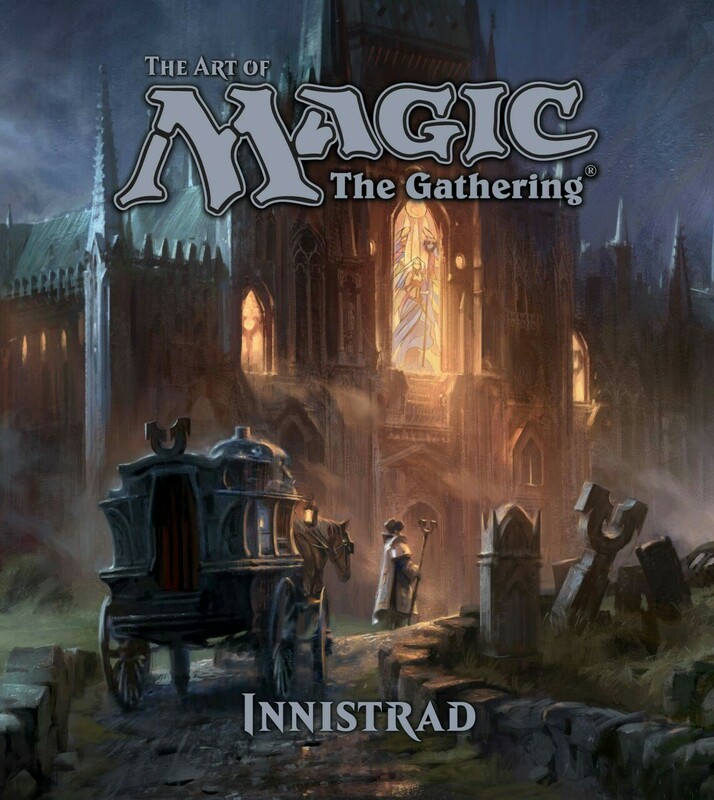 Set for release in Summer 2016, THE ART OF MAGIC: THE GATHERING – INNISTRAD will feature full color illustrations showcasing the mysteries of Innistrad – its peoples, provinces, and monsters. In THE ART OF MAGIC: THE GATHERING – INNISTRAD, terror falls from the skies on blood-spattered wings and nameless horrors lurk in the shadows. 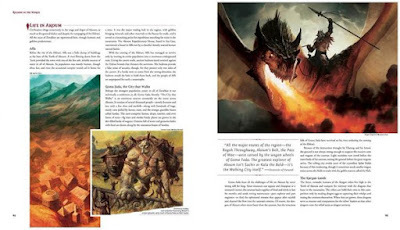 These pages, lavishly illustrated with the award-winning art of Magic: The Gathering, are your entry into a world beset by terrible evils on all sides and betrayed by the hope it held most dear. Tread lightly as you follow the heroic Planeswalkers of the Gatewatch as they investigate these dark mysteries. A Happy Thanksgiving to all our American readers this weekend. For today's post, we'll regurgitate and gourmandise previously posted Magic: the Gathering content from our sister site, MTG Realm on Tumblr. Wishing all our American cousins to the south a Happy & Safe Thanksgiving weekend. The island continent of Murasa is a vast, steep-walled plateau that rises sharply from the sea. Although smaller than other continents of Zendikar, Murasa conceals an incredible diversity of environments hidden behind its sheer, stony cliffs. Inland from these cliffs, the land drops off sharply, wreathing Murasa in an irregular “wall” of mountainous cliffs. The largest break in this wall is the Sunder Cove, an enormous, tide-wracked bay clotted by the massively trunked harabaz trees. The interior of Murasa is a rugged landscape of steep, windy hills and precipitous jungle valleys. The most notable exceptions to the interior elevation are the Skyfang Mountains, the Na Plateau, and the canyon lands of Kazandu. 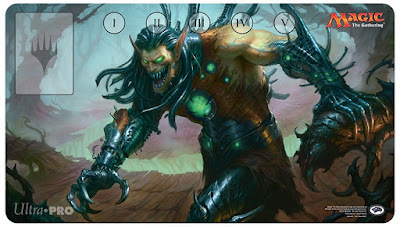 The February FNM Promo was revealed over on the mothersite today. At OMG! Games in Barrie, Ontario, Canada. 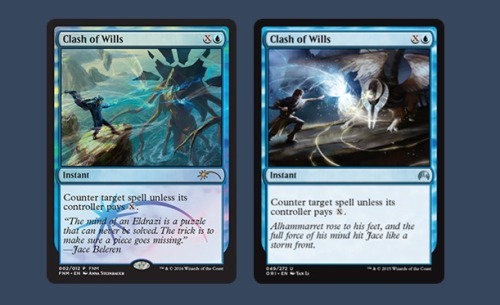 • Force of Will - Buy an Outbreak Seven Kings starter and a Vingolf knight- Receive a second Vingolf free. • Spend $100 receive a free OMG T-Shirts while supplies last. 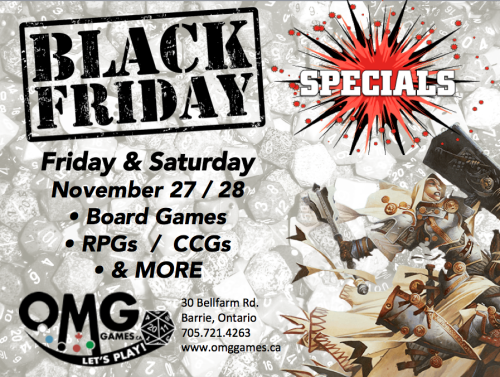 • As well as hourly cards for cash deals during FNM and Saturdays Legacy. 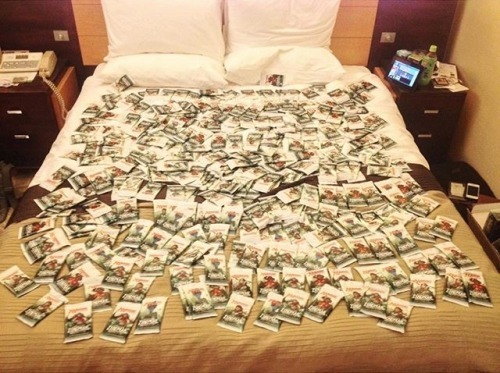 That is a lot of blister packs there. From September Roman (@justseptember), a photographer living in Asia. 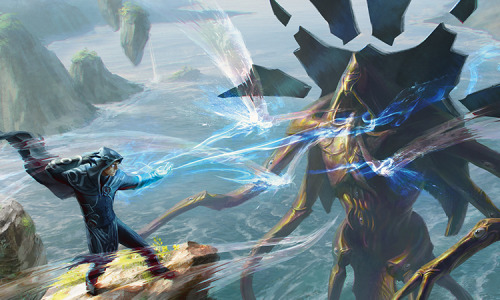 MTG Realm is back yet again with another Commander 2015 review. 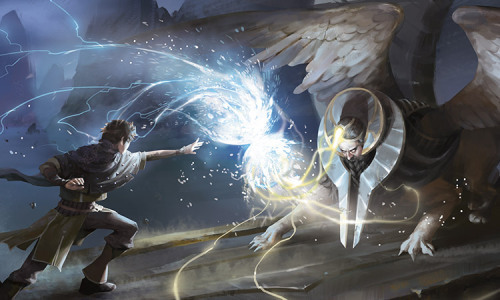 We have already provided a brief review of the Magic: the Gathering pre-constructed Commander 2015 products for the Black / White 'Call the spirits' deck lead by Daxos the Returned, as well as the 'Wade into Battle' deck lead by Kalemne, Disciple of Iroas. 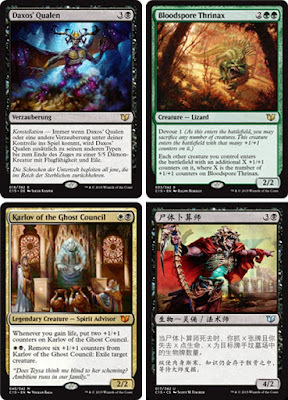 The Black & Green coloured 'Plunder the Graves' deck has Merren of Clan Nel Toth as the Commander with choices of Mazirek, Kraul Death Priest or the previously printed Jarad, Golgari Lich Lord as your 'back-up' Commander. This decklist showcases what what Black and Green ('Golgari' colours) do best - graveyard shenanigans and uses just about every vector available to fill up the graveyard. 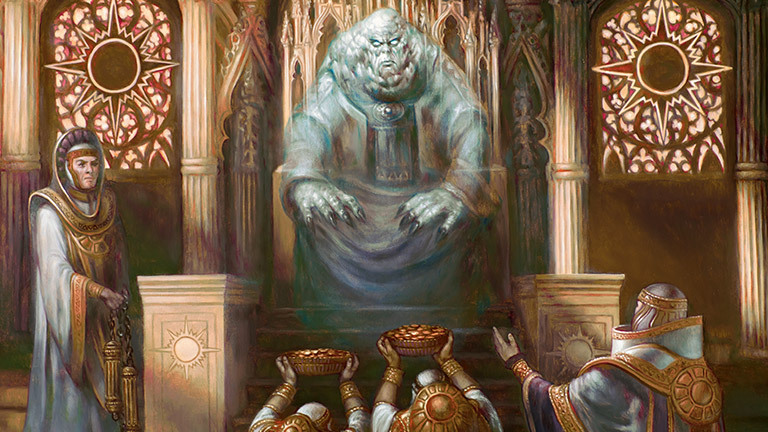 One can sacrifice creatures to your benefit, whether is is part of a paid cost to an activated ability such as Viridian Zealot or as a by-product of a spell such as Mulch or one of our favourite common card-draw spells, Altar's Reap. The idea which you will readily appreciate is to fill up that yard rapidly, even with seemingly un-beneficial chump blocks in order to set up the punch line. Recycle and reuse the fallen with the likes of Wretched Confluence, Rise from the Grave or Meren of Clan Nel Toth herself. A number of creature cards in this decklist also have rather nice 'enters the battlefield' effects such as Satyr Wayfinder which means it is definitely encouraged to double dip and have it cycle as many times as possible. 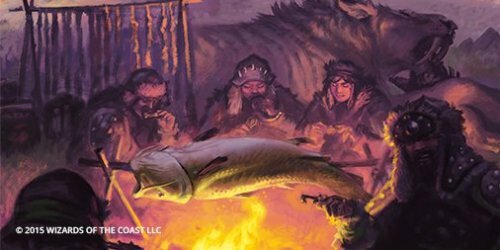 The new card, Merren of Clan Nel Toth collects those new experience counters for each time one of your critters bites the dust. The pay-out here is the ability to be able to retreive a creature in your graveyard equal to or less than the number of experience counters at your end step. The second legendary creature, Mazirek will garner +1/+1 counters on each creature you control every time a player sacrifices. Mazirek, Kraul Death Priest is also decent in this list but we would personally consider this a secondary character and not optimal in the current list as its Commander without some modifications first in the theme. There are almost 20 or so cards with a sacrifice clause in the mix and we would likely want to pump that number up a bit more. Jarad, Golgari Lich Lord is your third legendary in the list and great support card as well. Again, we would want to modify the list a titch should we want to have Jarad act as Commander here. 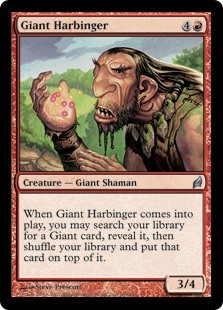 When Jarad was in standand format, we had a definite liking to what this card could do - first and foremost - sacrificing huge critters to kock life off each opponent. We also liked the power / toughness pump with each critter in your graveyard but often found that we wished Jarad had evasion and would be chump-blocked till the cows came home unless we had a combat trick or spot removal. All in all, a solid list - our compliments to Wizards of the Coast staffers (Ben Hayes, Dan Emmons, et al.) - love the theme, and the fun factor while playing. We can accurately prognosticate exactly what every Magic: the Gathering player will be talking about tonight while we are at OMG! Games here in Barrie, Ontario, Canada-Land for Friday Night Magic - the groundbreaking game-warping spoilers allegedly from the next set, Oath of the Gatewatch. 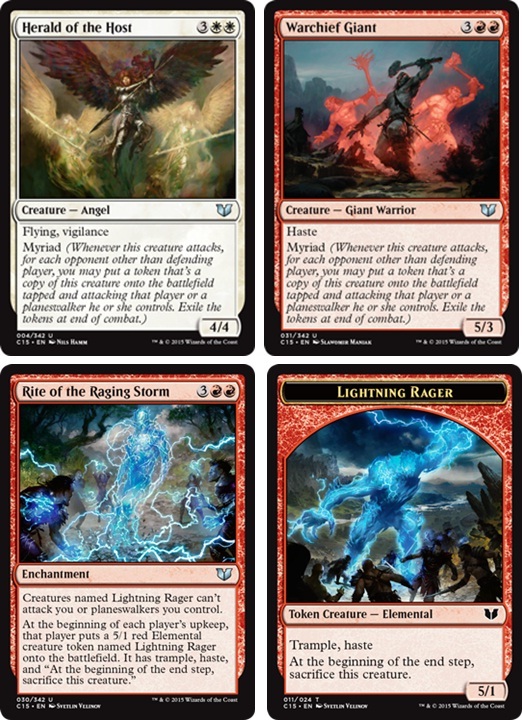 Before we get on with today's article, we will want to again repeat to only refer to the official Wizards of the Coast Magic: the Gathering website for official card previews. 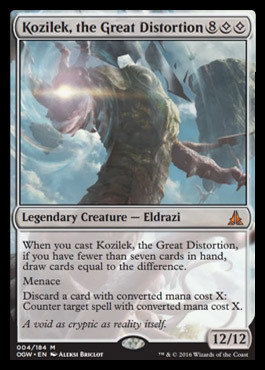 Kozilek, the Great Distortion, Mirrorpool, and what appears to be a 'colourless' basic land 'Wastes' took the entire MTG gaming community by surprise. One rather odd thing about these three spoilers were that all three were related in that they each appear to support the validity of the others - which have caused some gamers to suspect that these were no spoilers but carefully leaked previews from Wizards of the Coast. In every corner of the internet where MTG fans congregate is on fire with discussions on these new cards. First and foremost in these discussions is the introduction to the game of a new basic 'colourless' land. Fortunately, some of the discussions have been cleaned up regarding validity of these spoilers when a 'trusted source' in communication with MTG Salvation Forum Moderators had essentially confirmed the cards real. Furthermore, today, the same source confirmed that some significant rules changes were being introduced with this new land. 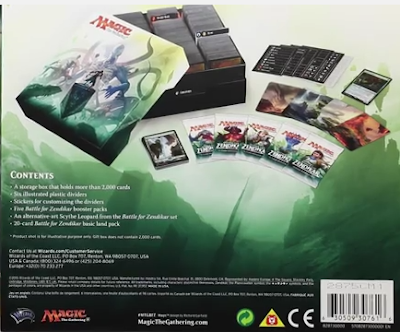 For reference, here are excerpts of the Magic: The Gathering Comprehensive Rules, effective as of November 13, 2015. 105. Colors 105.1. There are five colors in the Magic game: white, blue, black, red, and green. 105.2. An object can be one or more of the five colors, or it can be no color at all. An object is the color or colors of the mana symbols in its mana cost, regardless of the color of its frame. An object’s color or colors may also be defined by a color indicator or a characteristic-defining ability. See rule 202.2. 106. Mana 106.1. Mana is the primary resource in the game. 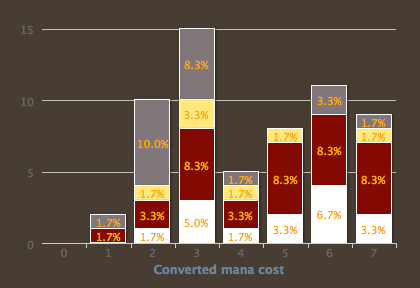 Players spend mana to pay costs, usually when casting spells and activating abilities. 106.1a There are five colors of mana: white, blue, black, red, and green. 106.1b There are six types of mana: white, blue, black, red, green, and colorless. For years (and years) we have been able to pay any colour of mana, including colourless mana to pay for a spell which had a colourless mana cost. Contrariwise, one is not able to pay a colourless mana (from a 'mana rock' for example) to pay for a spell which had one or more defined colours within the mana cost. Inequality some will shout. 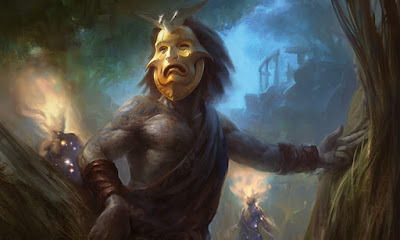 IF the new colourless 'diamond' mana thing is true, which we now personally beleive it is, our sympathies are presented to Mr. Matt Tabak, the Magic: the Gathering Rules Manager who had to amend the Comprehensive Rules, a herculean task for this. We did roll through his tweets and other online submissions to glean when he had a nervous breakdown as a result of this major rules modification but it appears he either kept it together very well or has been replaced by an artificial doppelgänger. Anywhoos, as for this new Oath of the Gatewatch 'mechanic', we can only speculate at the moment just how exactly the new colourless diamond may work. A card with the 'diamond' mana symbol in its mana cost or activated ability may only be paid with that new basic land type. After this, things get increasingly more intricate and complex. Does this affect 'devoid' spells? Can you use diamond mana to cast a colourless spell (like an artifact)? How will this affect Commander rules (General Karn)? We don't have any answers nor can we present any intelligent questions until we know more. For now, we will simply say that from a storyline / vorthos point of view, this may be the most brilliant thing we've seen. The Eldrazi Processors have ingested everything in their path essentially stripping the land and life from every last drop of mana energy, leaving a waste devoid of any colour. Last evening, we had spent several hours reviewing forum posts, tweets, and researching several possible Magic: the Gathering spoilers for the upcoming set Oath of the Gatewatch. In the last few years, proper spoilers have become almost as rare as a Unicorn as Wizards of the Coast and what 'spoilers' there were have become strategically orchestrated previews. Gone are the days when and entire 'God Book' is leaked or sealed product inadvertently shipped before it's due time. What 'spoilers' there may be are almost always fakes created for some nefarious purpose. When you cast Kozilek, the Great Distortion, if you have fewer than seven cards in hand, draw cards equal to the difference. A void as cryptic as reality itself. T: Add ◊ to your mana pool. 2◊, T, Sacrifice Mirrorpool: Copy target instant or sorcery spell you control. You may choose new tarets for the copy. 4◊, T, Sacrifice Mirrorpool: Put a token onto the battlefield that's a copy of target creature you control. Could this be the fabled 'Barry's Land' playtested by R&D for Invasion? Could this be sixth basic land ('Purple') which was playtested by Wizards R&D for Planar Chaos? Who knows? We do know that for ruling reasons, these lands were never printed, despite its popularity with R&D. Development wanted more time to understand the power of this and perhaps Oath of the Gatewatch is this time. All of the card illustrations appear new and not too unlike the styles of the artists named within the cards. Card art from Battle for Zendikar provided some illustrations of blighted landscapes caused by the Eldrazi sapping the mana from this plane. This shows up as an intricate meshwork of white filaments. With the card art for the 'Wastes' land and to a lesser extent, Mirrorpool, gone are any intact formed Hedrons. In its place are fractured forms closely resembling that of the spiral, stair-stepped structure of bismuth crystals. Supporting the authenticity of this are some elements found with the card art of Skitterskin and Kozilek's Sentinel from Battle for Zendikar. Colourless mana and to a lesser extent hybrid mana (first introduced in the Ravnica: City of Guids set did add a level of enjoyable complexity to the game. 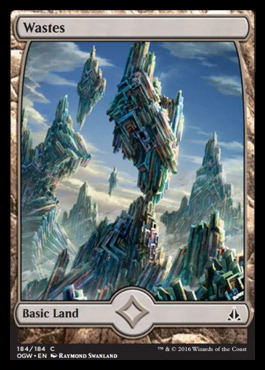 The theme of devoid as it relates to the storyline in Zendikar would welcome something such as this new land type but we do have our reservations that this 'Ghostfire' 'diamond mana' on the impact of all the game formats. If these Unofficial cards are real, we are riding the hype train all the way to January 22 next year when Oath of the Gatewatch is officially release. 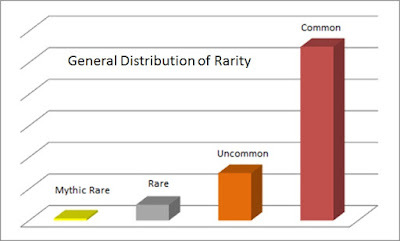 Today we wanted to talk about a rather interesting image posted by Redditor 'DeliciousCrepes' which qualitatively shows the rarity of tokens from 36 Battle for Zendikar Booster Boxes. Yep - that is a total of 1,296 booster packs, a sample size that we would feel confident with on making some general observations on the distribution of specific tokens within booster packs - at least for the latest Magic: the Gathering set. When we first started playing shortly after the release of Lorwyn, we suffered a certain level of naivety with regards to the distribution and availability of tokens included within booster packs. We really had not given it much thought until Scars of Mirrodin was release and we wanted to acquire the accompanying wurm tokens (the 2 lifelink and deathtouch 3/3 wurms) to the lovely Wurmcoil Engine we were lucky to pull from a booster pack. To our surprise, we could secure these, but only by purchasing them for $4 each. We quickly realised that our false belief that these 'free' token cards that came with (almost) every booster pack had a certain rarity to them which was also tempered by an additional complexity driven by consumer demand. What we came to realise, is that there was a loose relationship between the rarity of a token and the particular spell (card) which created it. This was most recently confirmed by Mark Rosewater in a Tumblr post from October 18, 2015 who indicates that a "Tokens’ rarity is based upon the rarity (or rarities) of the cards that make them". This statement may be modified slightly for Battle for Zendikar as it is now widely thought that the occurence of an 'advertisement' card in each booster pack was reduced so that the ratio would be approximatley 1 of 10 packs would contain an advertisement. Contrariwise, 9 of every 10 packs would produce a token. At this time, we are uncertain what the ration may have been previously. To throw another level of complexity into this, a token's rarity may also be affected by how many spells / cards produce said token. by way of example, the 1/1 White Kor Ally (token 6/11) is produced by only two cards (Retreat to Emeria and Unified Front), whereas the 1/1 Colourless Eldrazi Scion (tokens 2/11, 3/11, 4/11) are produced by 15 different cards. 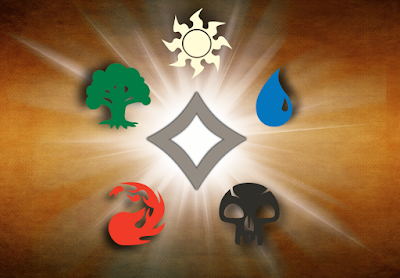 Anywhos, in Battle for Zendikar, there was a total of 14 tokens, which also includes 3 emblems created by Planeswalkers. Redditor DeliciousCrepes found that the rarest token was was the 10/10 colourless Eldrazi creature token (1/14) created by Desolation Twin, a rare card. This is rather interesting as there was only 18 copies of this 10/10 Eldrazi token in 1,242 packs - one would have thought perhaps one of the (Mythic Rare) Planeswalker Emblems would have been. One observation is that Desolation Twin has a whopping casting cost of 10 which means the Twin may not show up in games as often as compared to Dragonmaster Outcast which is able to generate a 5/5 Red Dragon creature token with flying, also a rare, but has a casting cost of only one. We are only scrapping the surface here but will say that although very cool to know, we still relish playing Magic: the Gathering with its complexities and a small measure of inherent mysterious unknown. As promised, we hope to get to a brief Magic: the Gathering review of each one of the five new Command 2015 pre-constructed products. We don't play as much Commander as we would like to but still hope that you may find something of interest here in our observations. Today's post covers the Red & White decklist. Expect to pay around $40 here in Canada and around $30 in the States. Kalemne, Disciple of Iroas is a giant who’s right at home on the front ranks of a fight. Her power increases as more large creatures answer her call, so her lightning-fast sword swings grow deadlier as the battle wages on. 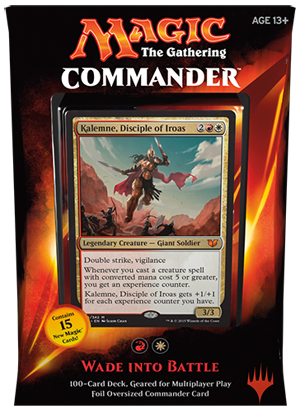 Kalemne, Disciple of Iroas - Agressively costed 4-cmc with a 3/3 body, but with double strike and vigilance, this can swing to land six damage and be ready for attackers. 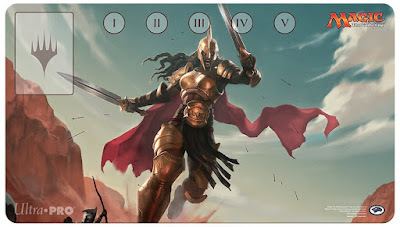 This giantess gains you experience counters when you cast those huge spells of 5 cmc or greater - which should not be a problem given all the hefty Angels, Giants, and Dragons in this list. Kalemne is pumped +1/+1 for each experience counter you have. 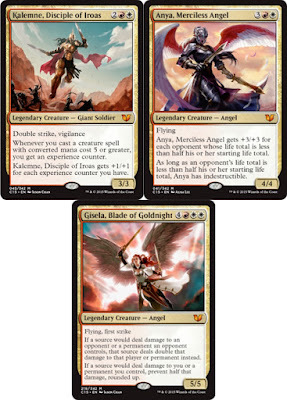 Anya, Merciless Angel - Flying 4/4 Boros Angel for 5 mana. Given the aggressive profile of this list, it should not be difficult in reducing an opponent's life to half than the starting value which allows Anya to get a pump for +3/+3 as well as indestructible. Suggested pairing with Heartless Hidetsugu which allows Anya to go nuclear quicker. 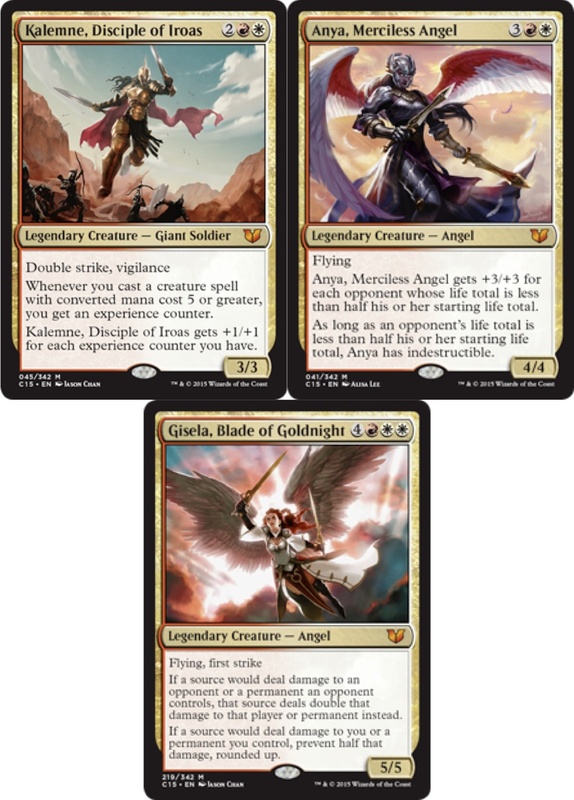 Gisela, Blade of Goldnight - Solid 5/5 flying, first strike Boros Angel for 7 cmc. Gisela has two very sweet abilities which can pose a serious threat / problem to your opponents. The first ability doubles damage delivered to an opponent while the second ability prevents half the damage hitting you. We submit that five cards supporting this theme should be expanding upon. 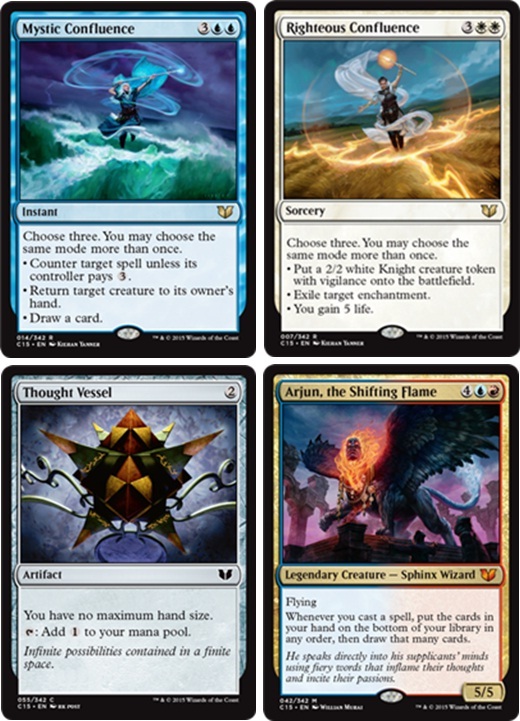 We suggest that should you go down this road, consideration be given to the likes of Door of Destinies,Giant Harbinger (float a giant to top of library), any of the appropriate Giant Tribal spells (Crush Underneath, Feudkiller's Verdict, etc. ), as well as any of those 'power 5 or greater spells' such as Gustrider Exuberant (sac to make 'em fly eot), or Bloodthorn Taunter (tap to give 'em haste), would benefit this list quite greatly. Should you exchange some angels in the list for additional Giants, give some thought to Cunning Giant, Quarry Colossus, and Sentinel of the Eternal Watch. As there is rather little in the way to assist you to mana ramp (Knight of the White Orchid), consider beefing up with some mana-rocks like Thran Dynamo, Commander's Sphere and Chromatic Lantern. At the very least, should you drop the focus on giants, consider using Balefire Liege to not only pump the red 'n' whites +1/+1 but also provides a very handy burn and / or gain ability. In addition, Sunforger is a fav boros-coloured equipment which can be quite useful to pull out an instant (like Pact of the Titan). All in all, we love the list but want to modify it as soon as we get it - which is, of course what Wizards would likely hope you would do anyways. Happy Brewing! 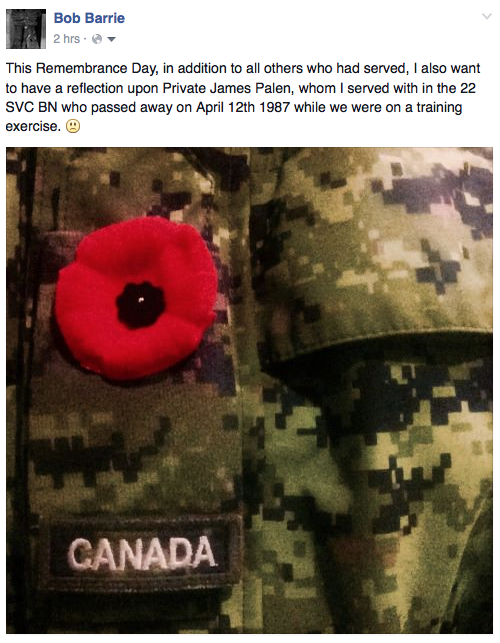 Before we get into today's article, we want to take a moment for some solemn reflection as it is Remembrance Day. A long time ago, when I was in the Forces, I had lost a buddy from my Battalion during a training exercise accident - today I will be thinking about James Palen. 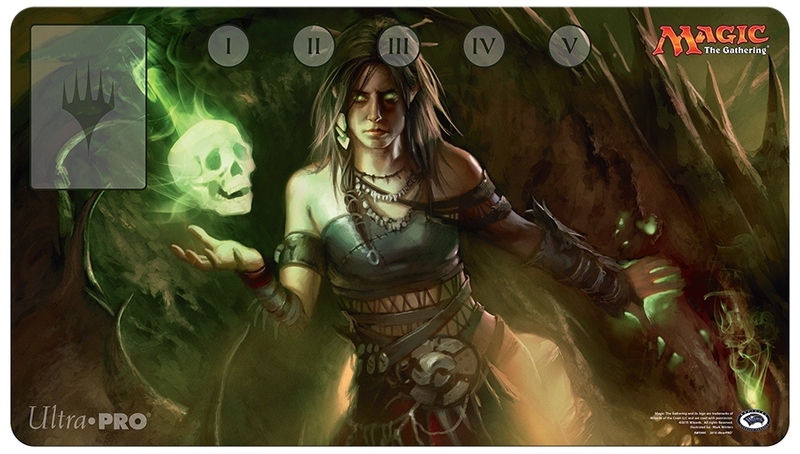 Righto - back to today's Magic: the Gathering news 'n' other stuff from around the interwebs. 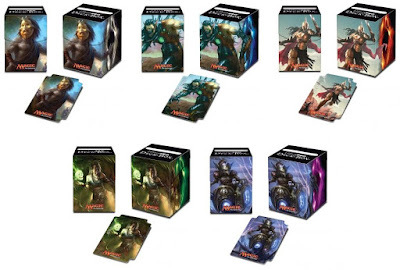 The latest Commander 2015 set is out this weekend. If you are attending a Release Event at your local gaming store, do drop by the Release Notes on the mothersite, so you know exactly what those 56 new cards are capable of. As expected, the new set was updated on Gatherer, the MTG card database, which is an invaluable tool one can use when brewing up your sick stack. This of course will also help MTG Realm writing up the next Commander 2015 pre-con review and we can't wait to start brewing up some Commander lists. As it is Wednesday, don't forget to drop over to Wizards to get the latest Magic: the Gathering wallpaper for your device as well as reading the newest Uncharted Realms short story (this one from Alison Luhrs featuring the new legendary creature Uncle Karlov). We've been picking up the Holiday Gift Box EVERY year it has come out - except for this year. The gift box is a reasonable deal and in the past, we've personally paid the very close equivalent of the the booster packs contained within the product. Sure, the storage box and dividers (during the second and third year) may have been on the flimsy side, but WoTC did make improvements. The price this year locally is $35. We could drive to Toronto and pick it up for $26 but the difference is eaten up by fuel costs (and time of course) by our terribly inefficient vehicle. If you previously enjoyed out unboxing video for this product - apologies this year. We absolutely LOVE storage solutions provided by BCW Supplies and will continue using their binders and boxes for our cards. 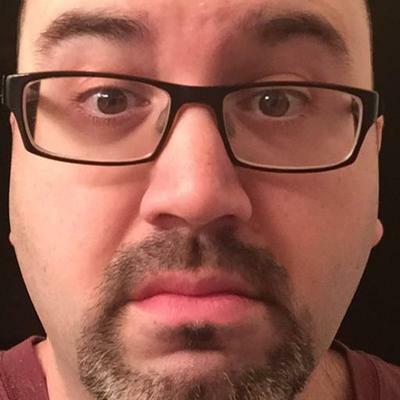 Pop on over to the Tolarian Community College YouTube Channel to see what the Professor has to say. We are in complete agreement that the 'full art' lands should NOT have been shown on the back cover which may be confusing to some consumers. 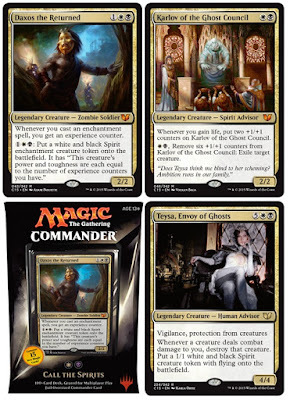 Earlier today we posted our first Commander 2015 review of the black / white pre-con 'Call the Spirits'. We are back at it again with a brief post on Ultra PRO product line-up for Commander 2015. Commander 2015 Play mats with premium fabric top to prevent damage to cards during game play. Dimensions are approximately 24" X 13-1/2". Rubber backing lets the play mat lay flat and prevents the mat from shifting during use. Commander 2015 PRO-100+ Deck Box holds 100 Standard double sleeved gaming cards in Ultra PRO Deck Protector Sleeves. Self-locking lid design with write-on strip. Thumb notch for easy access to cards. 1 card divider inside. 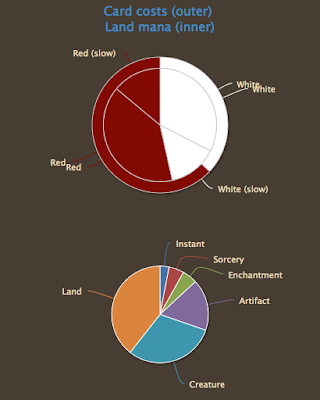 As promised here at MTG Realm, we are getting to a review of each of the new Commander 2015 decks. For the first one, we are looking at the Black / White one and will likely have the next review next week, so stay tuned. Daxos the Returned travels across Theros in a never-ending search, surrounded by spirits that are drawn to his power. As mighty enchantments enter the battlefield, the spirits he summons grow larger and larger, leaving his enemies overwhelmed. 1WB: Put a white and black Spirit enchantment creature token onto the battlefield. It has "This creature's power and toughness are each equal to the number of experience counters you have." WB, Remove six +1/+1 counters from Karlov of the Ghost Council: Exile target creature. Whenever a creature deals combat damage to you, destroy that creature. Put a 1/1 white and black Spirit creature token with flying onto the battlefield. Given the name, 'Call the Spirits' of this pre-constructed Commander list, one would imagine a Spirit theme of sots, and indeed the primary commander, Daxos the Returned, does produce spirit tokens but this really is an Enchantments matters theme. There are approximately (by our brief revie) some 21 Enchantments as well as 7 Enchantment Creatures. There are 5 more additional creatures, 2 sorceries, and 1 artifact with a synergy with enchantments. Daxos is all about casting Enchantments. For each Enchantment that you cast, you get an experience counter. You then can then pay the activated ability of 1WB to generate create Spirit enchantment creature token with power and toughness equal to the number of experience counters you have. 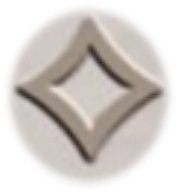 These tokens can be serious threats later in the game as they enter the battlefield in continually larger forms. These do lack evasion like flying, which is granted to many other spirit creatures but is more than offset by the promise of the potential for rather large P/T token which could land damage with the likes of Rogue's Passage to grant it an unblockable ability. 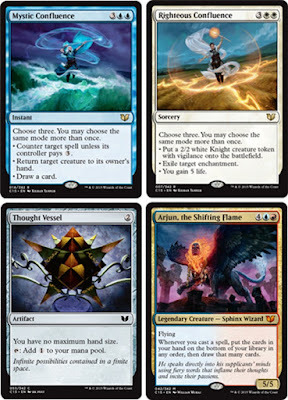 Some suggestions for modifications include going all in with enchantments which may include consideration for the other 'Constellation' cards not in the current list (Skybind, Grim Guardian, Agent of Erebos, etc.). Consideration should be given also to the Theran gods Heliod, Erebos, and Athreos as well. 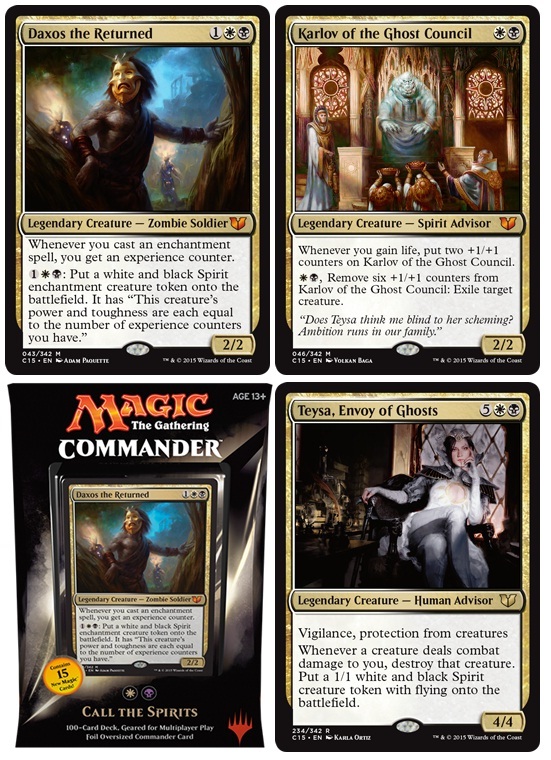 The other new Commander available in this list is Karlov of the Ghost Council. In short, many Magic: the Gathering players may believe that Karlov does not belong in this list, even as a supporting card. 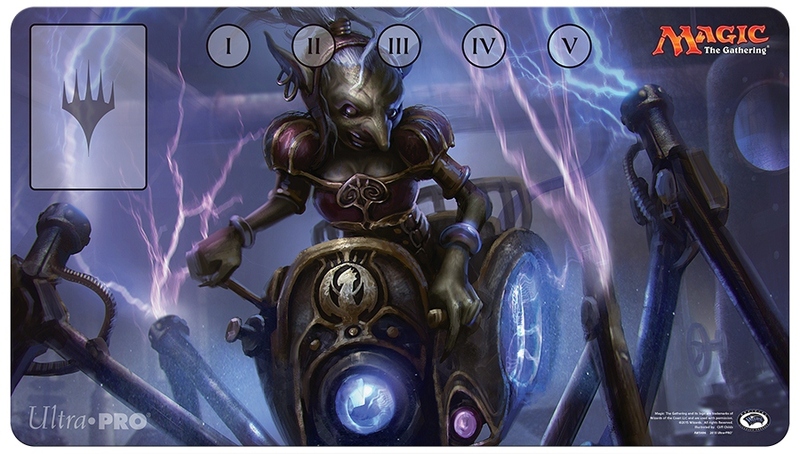 There is only 5 cards within this decklist which may gain you life so we can expect that Karlov would not be collecting many +1/+1 counters and subsequently exiling creatures. The consensus with the MTG Realm playgroup is that Karlov would be best suited in its own list with a strong life-gain theme. Some suggestions off the hop would to be to include a number of cards with 'Extort' to be able to trigger that life-gain or perhaps cards one would expect in a 'Soul Sisters' type of strategy. Essentially cards that will allow Karlove to grow rapidly, perhaps with lifelink and those with a triggered ability when you gain life like Ajani's Pridemate. Should you find that your list is providing huge life gain (with the help of Rhox Faitmender), consider an alternate win condition like Felidar Sovereign (if you playgroup allows this). Alternatively, you may want to push Karlov off to a supporting role in a list that focuses on a theme of +1/+1 counters like Ghave, Guru of Spores. As for the reprint of Teysa, Envoy of Ghosts, we think that perhaps this is best left in a supportive roll as a late-game bomb. There are a few lists we've seen that look rather nice with Teysa but we feel that that this one is better in the mixx of 99 rather than in the Command Zone. 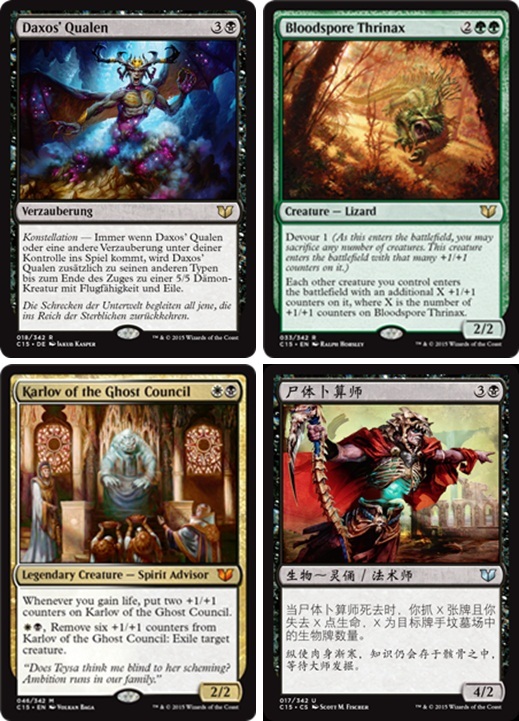 Here are the newly printed cards that are included in the 'Call the Spirits' Commander 2015 decklist. In general, all solid support cards which could also find gainful employment in a variety of other Commander lists. Depending upon your taste, we suggest you pick the one of the two new Commanders (as we suspect WotC intended), and then provide some fine tuning (in the case of Daxox) or a complete overhaul (in the case of Karlov). As it is Friday, we suggest you leave your bunker and re-connect with humanity with a game of Magic: the Gathering at a Friday Night Magic event near you. Pop on over to the mothersite's handy LGS locator. If you find yourself in Central Ontario this evening, we'll be at OMG Games here in Barrie, and very likely with our trade binder as we are still very much short of the mana-base we need to power our latest weapon (the wish list here). 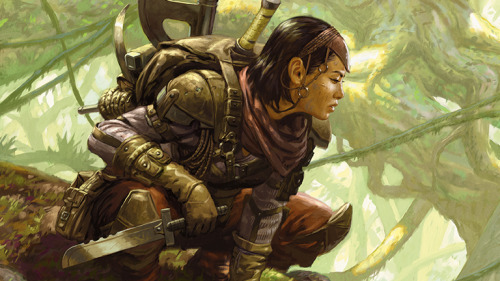 Anywhoos, today marked the very last day for official Commander 2015 previews. The last four unknown cards were revealed since yesterday's MTG Realm post and all 56 new cards have now been accounted for. Caller of the Pack - 5GG for a solid 8/6 beast with trample and the new 'myriad' mechanic. Shielded by Faith - Enchant creature aura for 1WW providing indestructibility and the ability to move the aura onto ANY creature entering the battlefield. Oreskos Explorer - A 2/2 Cat Scout for 1W with a similar effect to that of Knight of the White Orchard but adapted to this multiplayer format. Wretched Confluence - The last modal instant. For 3BB your choice (3x) of a sign in blood - like effect, a disfigure effect, and / or recycle a creature from your yard to hand. Thief of Blood - A flying 1/1 Vampire for 4BB - but wait ! - she will steal ALL COUNTERS from all PERMANENTS (not just the +1/+1 type) just like my Ex and ETB with that many. 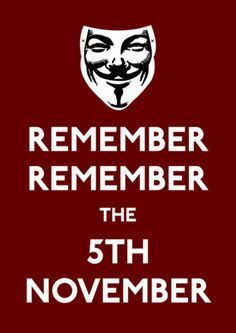 To our readers in the UK and NZ, we wish you a safe Guy Fawkes day and may you have money left over for your Guy for a pint at the pub. Please remember which end of the fireworks is the business end and have a pail of water by your fire (which given the time difference) did not appear to be the case in some some NZ neighbourhoods. 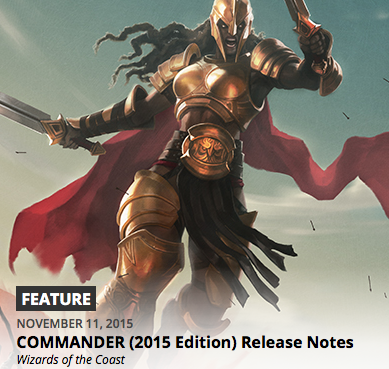 Anywhoos, Commander 2015 previews continue to be the order of the day here at MTG Realm. 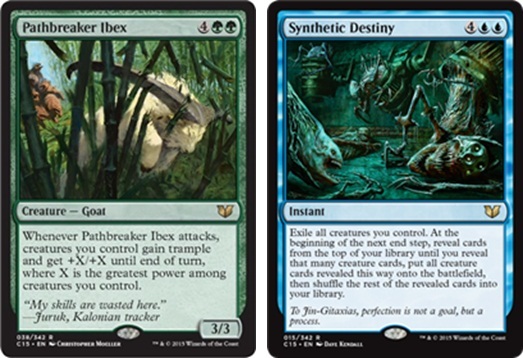 Here are the latest 'n' greatest Magic: the Gathering cards on the mothersite and the around the inter-webz. Do pop over the the WotC site as staffer Blake Rammusen revealed about 2-dozen tokens to be used with this Commander product. Herald of the Host - A 4/4 flying Angel with vilgance, myriad and a 4/4 body. Warchief Giant - A 5/3 giant warrior with haste for 3RR with a sweet Myriad tack on. 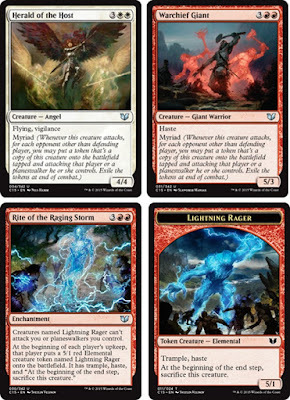 Rite of the Raging Storm - Enchantment costing 3RR is a really interesting card that produces a 5/1 elemental token named 'Lightning Rager' for EACH player at the begninning of their upkeep. The creature token has trample, haste and a must sac clause at end step. The beauty of this is the enchantment also does not allow any such-named tokens to attack you or a PW of yours. Mystic Confluence - Ohmagawd, the blue confluence spell is really good. 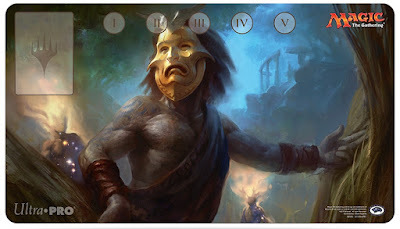 Modal three choice, option to choose same mode more than once for 3UU to counter unless 3 is paid, to bounce or card draw. Wow. Righteous Confluence - The white confluence is damn fine too. Same modal choices with 2/2 knight token, enchantment exile or 5 life gain. Thought Vessel - Decent 2-cost artifact which can tap for one colourless and bonus of no max hand size. Arjun, the Shifting Flame - Here's the Izzet coloured legendary Sphinx we were looking forward to. A flying 5/5 for 4UR with a deck-filter upon casting a spell - specifically, hand goes to library bottom with same number drawn from top. Daxos's Torment - German MagicBlogs.de preview. A constellation-tech enchantment for 3B gives you a powerful 5/5 demon with flying / haste whenever you have an enchantment ETB. Very nice! Bloodspore Thrinax - Counter party ahoy with this 2/2 lizard with Devour 1 for just 2GG. The lizard welcomes each other creature you cast with the same number of counters on it. 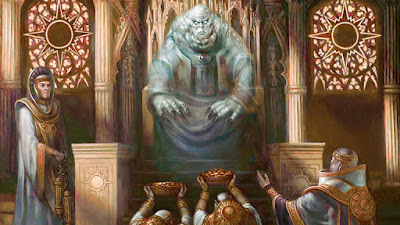 Karlov of the Ghost Council - Here's the legendary Orzhov coloured creature. A 2/2 spirit advisor for WB that will collect two +1/+1 counters on itself whenever you gain life. Sweet creature exile activated ability costs just a WB and a counter from Karl. Corpse Augur - Japanese iplaymtg.com preview. This is a 4/2 zombie vizard for 3B which, when it gets nerf'd, provides a card draw (no 'may', you must) equal to the number of critters in an chosen opponent's graveyard. The (possible) down side is you also will lose life equal to the number of cards drawn. Pathbreaker Ibex - late day preview from yesterday. This 3/3 goat costs 4GG that will give your entire attacking team trampl and a pump equal to the power of your largest (power) attacker. Synthetic Destiny - another one from yesterday. An instant for 4UU which will exile all your creatures and put that many creatures from your library top straight onto the battlefield. Nice.